What better way to bond than to shop together db? 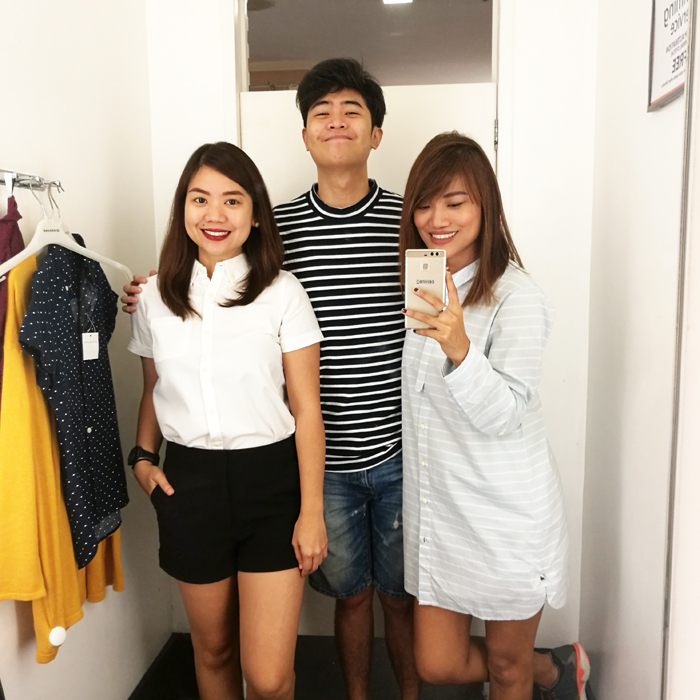 :) Brought my sister, Nico & my mom to Giordano, Megamall for some shopping! My mom didn't want to take part in our picture taking session but she loved the shirts she bought! 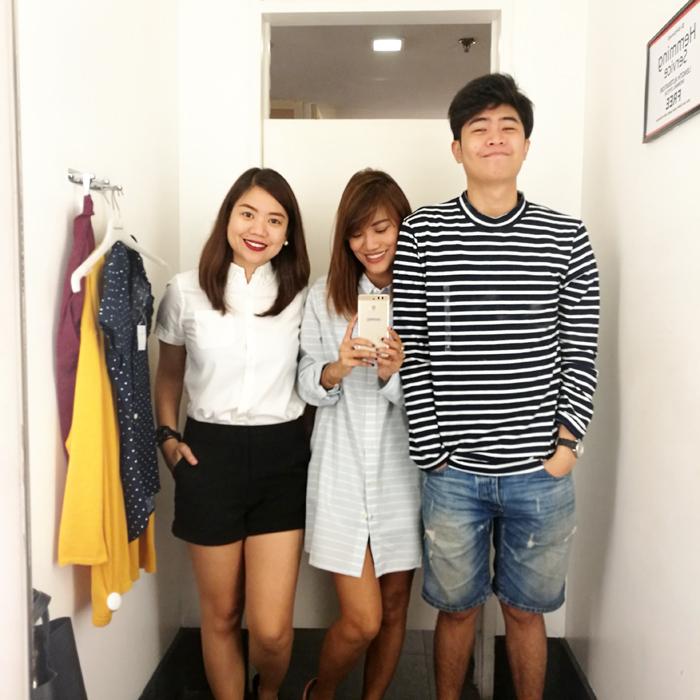 :) Here's me, my sis and Nico in the dressing room. Comparing style notes. Haha. So much fun! "With this campaign, we try to rekindle the good times you experienced with your family with quality products that can be shared and passed down through generations. 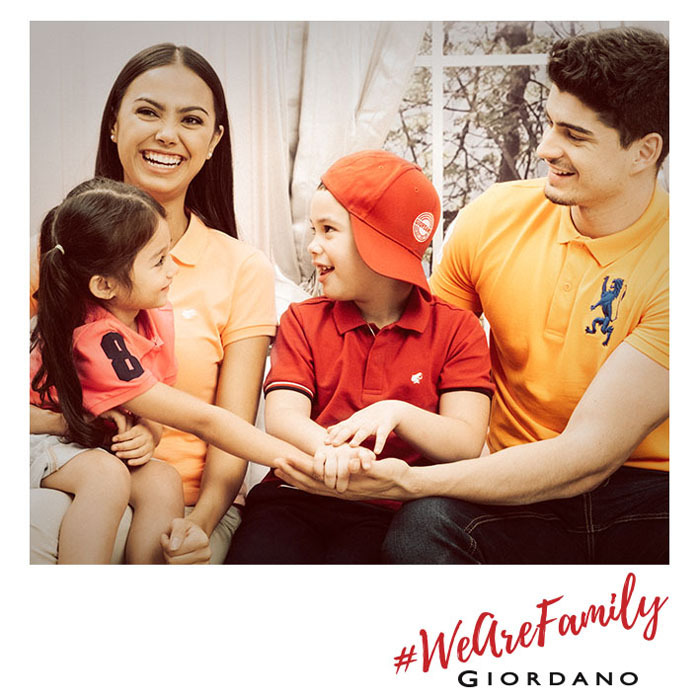 But, beyond the clothes, our #WeAreFamily campaign celebrates the Filipino's unparalleled close-knit family relations," said Giordano Philippines’ Vice President for Merchandising Rochelle Tan. 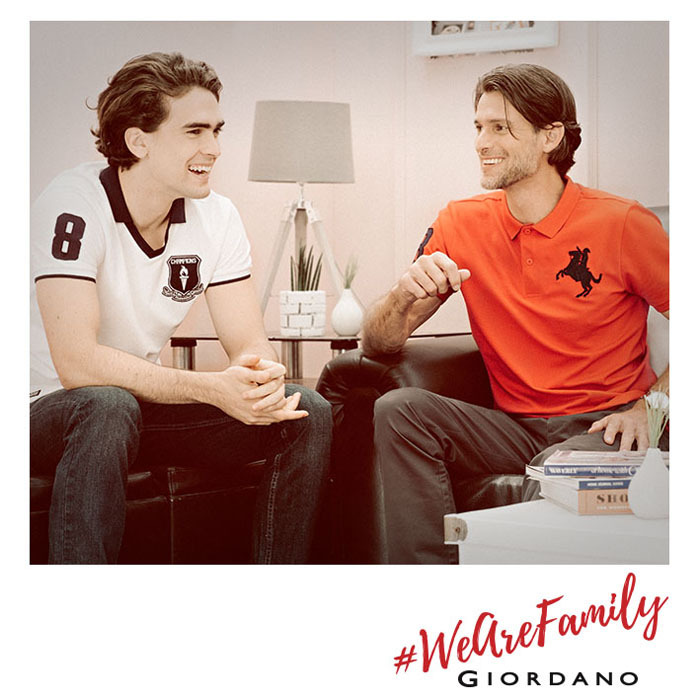 Giordano kickstarted the campaign last September by launching their new polos! A wardrobe staple loved and shared by family members, the polo remains to be the ultimate classic - a casual comfort as well as a dressed up essential. 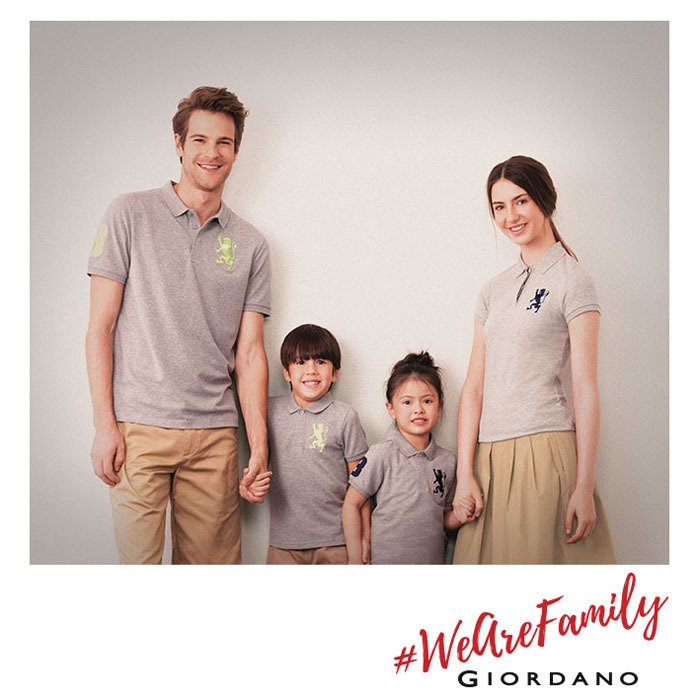 Available for male, female and kids, Giordano offers different styles, designs and colors that can be worn by the whole family. Giordano stores were dominated by laidback Tees collection last October which is perfect for casual get-togethers. 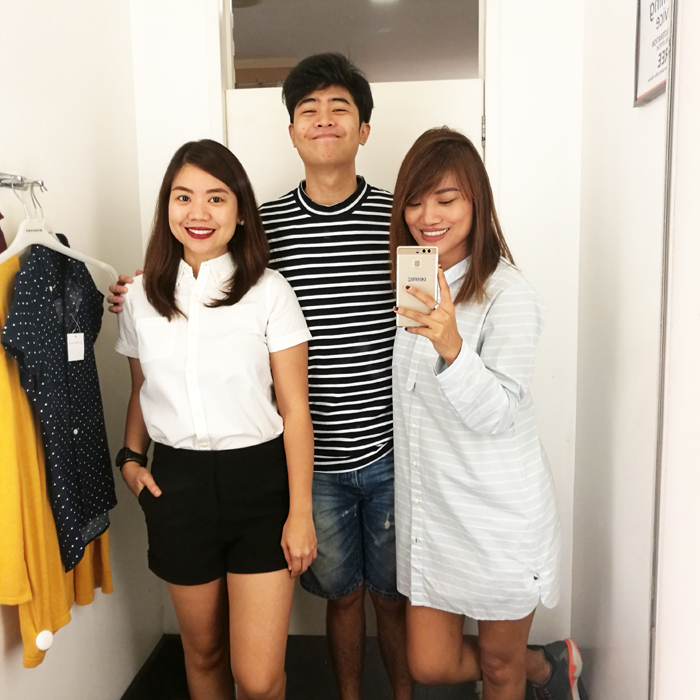 And then The Great Giordano Anniversary Sale was launched last November! A comprehensive shirts collection featuring dressy long- and short-sleeved polos, casual shirts, polo shirts, printed tees, hoodies and a wide range of bottoms is now available in different styles and sizes suited for everyone in the family. Before the year ends, Giordano will launch its Christmas collection featuring tees and a variety of long sleeves perfect for the cold December air. I love it!!! 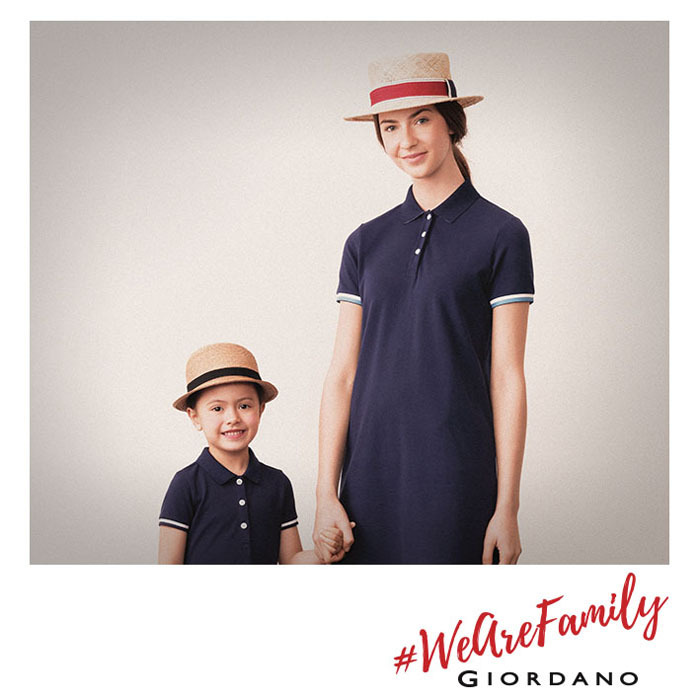 "High quality Giordano apparel can easily be passed on from one generation to another. From big sisters to the bunso, we make sure that once kids outgrow their shirts, parents can still find a way to make use of them because they never go out of style. Aside from Giordano shirts being a 'family' shirt, we celebrate the Filipinos' high regard for close-knit family ties in this way," said Tan.